Congress gearing up for solo run in UP? Both the SP and the BSP are leaving no opportunity to cut out the Congress from any possible alliance in Uttar Pradesh. LUCKNOW: Dumped by the Samajwadi Party and the Bahujan Samaj Party in Madhya Pradesh, Rajasthan and Chhattisgarh, the Congress faces the challenge of re-establishing its credentials of a strong national force through its performance in five state elections. Both the SP and the BSP are leaving no opportunity to cut out the Congress from any possible alliance in Uttar Pradesh. The latest indication came when BSP minister N Mahesh quit the JD(S)-Congress government in Karnataka on Thursday. Faced with such a situation, the Congress is mulling to go solo in UP in 2019. Now, the Congress high command is busy communicating with its grass-root workers and taking their feedback about ground situation. Another section of Congress leaders feels the party may find it difficult to accept with whatever seats it is offered to contest in alliance. “We are a national party, and we should get respectable chunk of seats,” said a veteran. 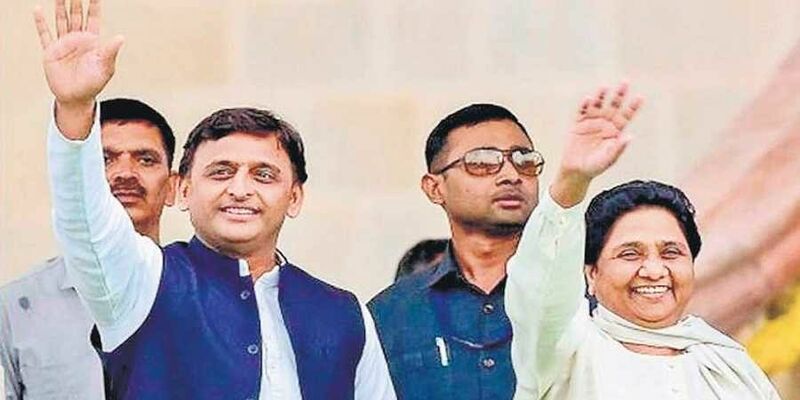 Sources said the Congress wants to contest 15 of the 80 Lok Sabha seats in UP, but it is doubtful if the two regional parties will be ready to oblige. Sources in the SP said the Congress can best be given five seats, including Amethi and Rae Bareli. “The Congress’s vote bank is dwindling fast and sparing more seats will turn out to be a sheer wastage of votes,” says a senior SP leader. In 2014, the Congress retained Amethi and Rae Bareli, and finished runners up on six others. It is another fact that the SP won five seats, while the BSP and the RLD drew blank. Currently, the leadership is focusing on strengthening its base. Congress chief Rahul Gandhi is busy establishing a dialogue with partymen and strengthening the base organisation. While UP Congress’ campaign committee chief Sanjay Singh is still hopeful of a Congress led grand anti-BJP alliance, another senior leader feels Rahul’s engagement with party cadre reflects his priorities and his efforts to prepare the organisation for all eventualities — be it an alliance or not.